Imagine for a moment that you are going on a trip to Disney World. As you prepare for the journey, you decide to buy a book to help you plan your vacation. You hop onto Amazon and purchase a copy of the 2017 Guide to Disney World from a respected tour company. 2 days later, the book arrives in your mailbox and you begin to read in preparation for your trip. Chapter 1 of the book focuses on how much the trip will cost, including budgeting information about how much to save over a 2-5 year period to pay for this vacation. Chapter 2 explains the many different ways to get Orlando by plane: what routes are serviced by Delta, American, United, etc. Chapter 3 unpacks the different ways to get to Disney World via train, by showing the most recent Amtrak schedule. Chapter 4 contains road maps of all the different paths to drive to the Magic Kingdom (including projected drive times from different cities in the U.S.A.). Finally, chapter 5 concludes with a comparison chart of each of the different ways to get to Disney in 2017. Now, let me ask you . . . If this was the travel guide you purchased, how many stars would you give this book in the review? For my money, this kind of travel guide would only get 1 out of 5 stars. Why such a severe rating? I would downgrade this travel guide because it only told me how to GET to Disney World without any instruction about what to do when I got there. I mention this today, because I see a parallel with this kind of travel guide and good chunk of the counsel I have seen (even from Christian circles) about managing finances. Much of what has been written about money has focused on how to “get rich” . . . but seldom do I see instruction about what to do when God provides more than what I need. To put it another way, how am I supposed to live AS a rich person? Believe it or not, God has given us great insight into this topic in 1 Timothy 6:17-19. In this passage of Scripture, Paul instructs Timothy on how to live as someone who is “rich in this present age” (in other words, what do we do when “get there.”) This Sunday, as we conclude our two part series on “Generous Living” we will explore this passage in more depth. 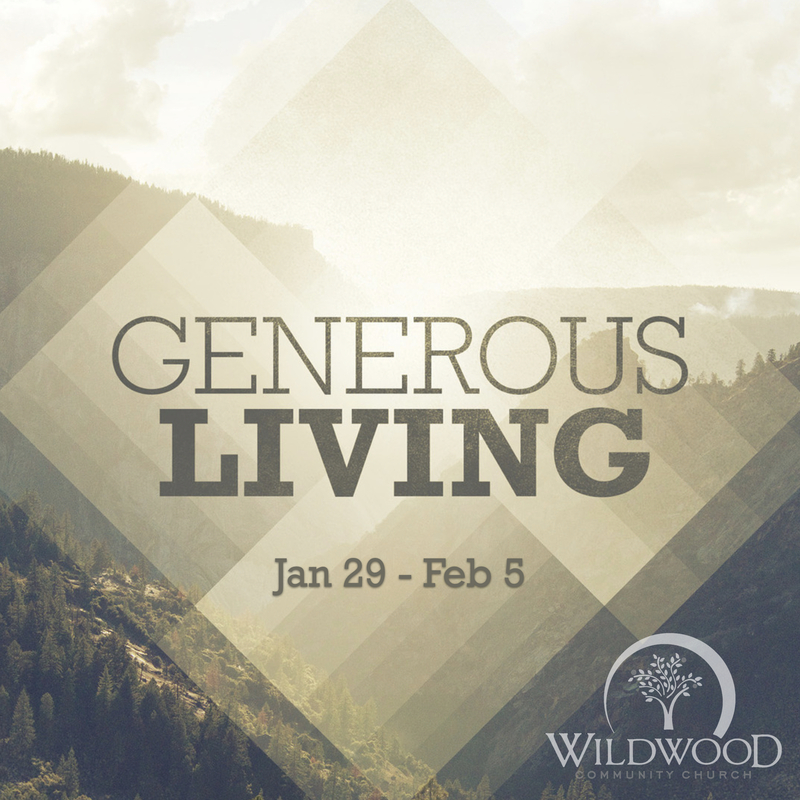 Join us at Wildwood Community Church at our 8:30, 9:45, or 11:00 worship service as we talk about living generously together. See you Sunday!